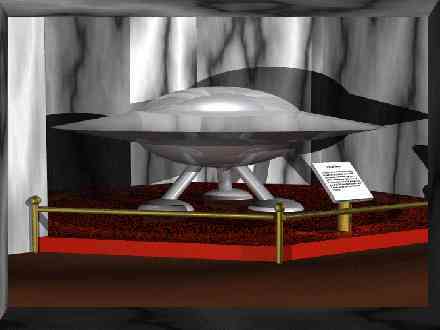 There are a great many ideas that people have put forward to explain UFOs. It does appear, however, that we could group these theories into about 6 main areas. This is the subject of intense debate in the UFO community and I may not have captured the interpretations correctly. 1. ETH or Extraterrestrial Hypothesis. Simply stated this proposes that UFOs are physical craft from beyond our earth. 2. Psycho-social Hypothesis: This one advances the idea that UFOs are not physical but appear to the witness psychologically through a combination of our cultural history and our mental state. 3. Universal Consciousness: Advocates of this theory feel that UFOs are manifestations of a spiritual or universal consciousness that may or may not move between dimensions. 4. Fantasy Prone Personality Hypothesis: This one could be summed up simply as the belief that people will see what they want to see. 5. Tectonic Stress Theory (a.k.a. Earthlights Theory): This one takes the position that the moving earth plates create enormous pressures which could produce balls of plasma energy that would appear to observers as UFOs. Proponents of this theory will attempt to link seismic events to UFO sightings. 6. Skeptical View: This position believes that with sufficient information, all UFO sightings could be explained in terms of natural or prosaic events. It may include elements of the Fantasy Prone Personality Hypothesis and leans very heavily on misidentification in most UFO events.